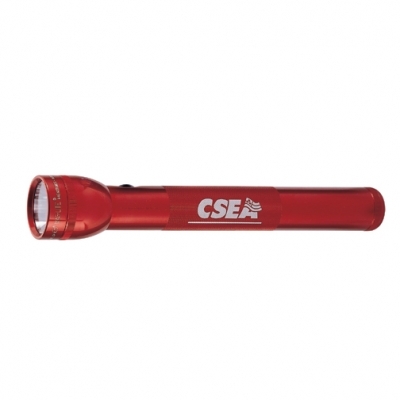 MagLite® 3D LED Flashlight with your Corporate Logo! The super powerful Mag-Lite LED with 3 D cells. 12 3/8" In length. Requires 3 “D” cell batteries, not included. Comes in a 4 color chipboard box. This is the grandaddy of all LED Mag-Lites. MAG-LITE® LED flashlights - The Best Flashlight in the world just got better. • Provides brightness like you have never seen before. The Mag-Lite® LED flashlight is a 3 Watt LED− most LEDs are only 1 watt. This means more power, more brightness and more battery life. • The only LED with a projecting, focusing beam that turns from spot to flood simply by rotating the head. • Batteries last 10 times longer than a conventional non LED light.